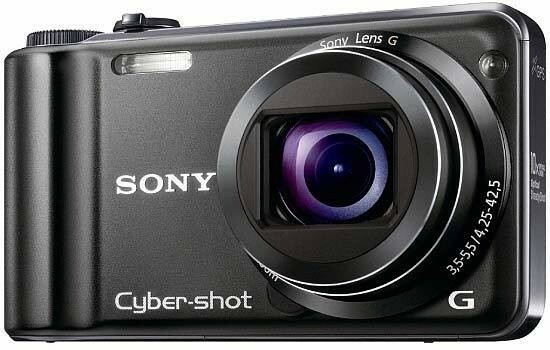 Sony may be new to the travel-zoom game, but they've certainly made a bold entrance with the CyberShot DSC-HX5, which offers virtually all of the key features that several of its rivals collectively offer, wrapped-up in an easy-to-use package with an eminently sensible 10 megapixel sensor. We're struggling to think of a first-generation product that gets so much right and so little wrong as the DSC-HX5. It may not have the bigger 14x zoom, high-resolution LCD screen or more megapixels that its key rivals offer, but it does combine an awful lot of well-chosen wish-list features that instantly propel it to the status of serious contender for the travel-zoom crown. The 10 megapixel backlit sensor provides excellent results from ISO 125-800, with only the fastest settings of 1600 and 3200 suffering from too much noise and smearing of fine detail. Chromatic aberrations were well controlled and colours accurate, and the 25-250mm lens commendably didn't suffer from much distortion at either end of the zoom range. The Manual mode lets you set a shutter speed of up to 30 seconds for effective night-time shooting, and if you don't want to use a tripod, the Hand-held Twilight mode delivers great results. Sony's ever popular Sweep Panorama mode now copes admirably with moving subjects, while the new Backlight Correction HDR feature dramatically increases the detail in the shadow and highlight areas. In addition to the excellent still images, the Sony GX5 is one of the few digital compacts to offer full 1080i video recording, gaining the upper hand on its rivals. You can use the 10xzoom during recording, sound is stereo rather than mono, and the AVCHD format ensures that file sizes don't get out of control. The built-in GPS also works well, unobtrusively and reliably recording your every movement, although the camera takes a few minutes to sync with one or more satellites and the battery life is reduced by around 25% if you leave it constantly switched on. The addition of a fully Manual shooting mode is very welcome, although I missed the Aperture and Shutter Priority modes that several rivals offer, and only offering two possible apertures does somewhat limit what you can achieve. Beginners shouldn't be scared off the HX5 either, as Sony's excellent hand-holding Intelligent Auto mode is as effective as the competition's, with an even more straight-forward Easy mode available for complete point-and-shoot novices. And we haven't even mentioned the frankly astonishing 10fps burst shooting mode, welcome support for Secure Digital as well as Sony's own format, and a price-tag that while not cheap is at least on a par with the other main contenders. In short, the Sony CyberShot DSC-HX5 is an excellent camera with no major flaws that's easily deserving of our Highly Recommended award.